China tungsten prices continued to remain weak adjustment on the first trading day of November owing to deadlocked weak demand and tight supply, and low trading in the market. Traders now highly focus on new tungsten guide prices from Ganzhou Tungsten Association and large enterprises. Central environmental inspections team returns to Jiangxi, Hunan provinces, which have great effect on the production of raw materials. Although sellers remain rised mentality, trading in the demand side is sluggish. Concentrates prices supported is limited and hover around $15,692.3 per ton. In the APT market, new increased orders are thin and downstream enterprises are not interested in stocking up. At the same time, raw material resources are not amply enough to lower product prices. Due to funds pressure, offers from factories show differences. APT prices keep range-bound. Tungsten powder enterprises expect a downward trend for the outlook on weak fundamentals. Market trading faces pressure, replying on old customers. Prices will be unchanged waiting for the supply of raw materials and operating rate of downstream factories. 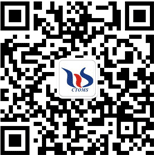 Folow our WeChat to know the latest tungsten price, information and market analysis.